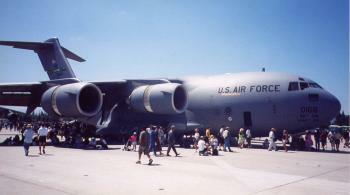 A side view of a C-5 cargo plane. 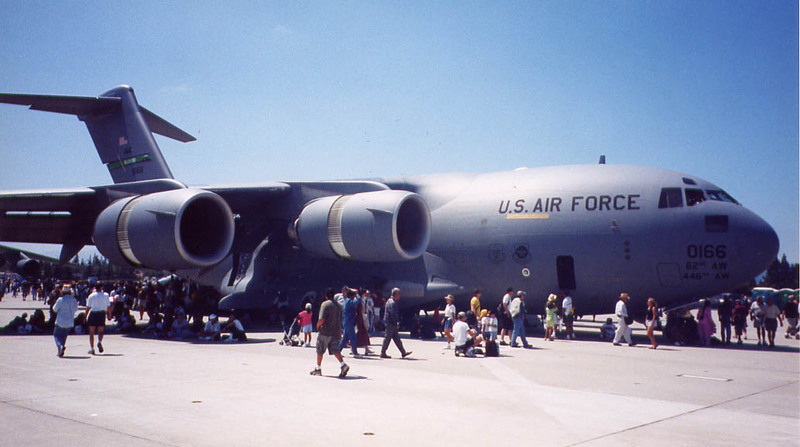 The thing is HUGE. 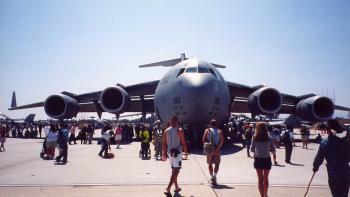 A view of the same from the front. 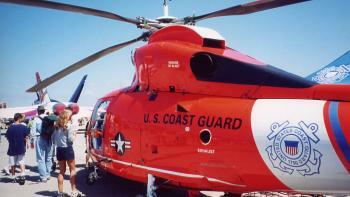 One of the Coast Guard helicopters that patrol our coast. 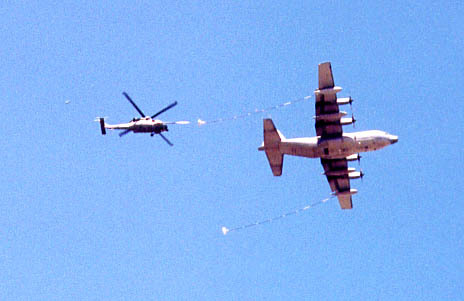 A midair refueling of a helicopter. I don't think they actually joined for the airshow demo, but you could certainly see how it would work (and how difficult it could be). 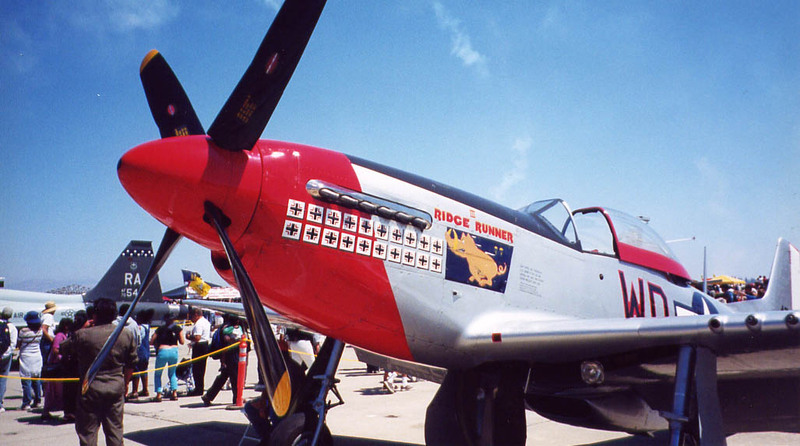 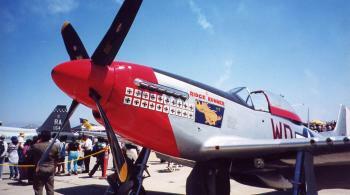 A P-51 Mustang with a nice paint job.